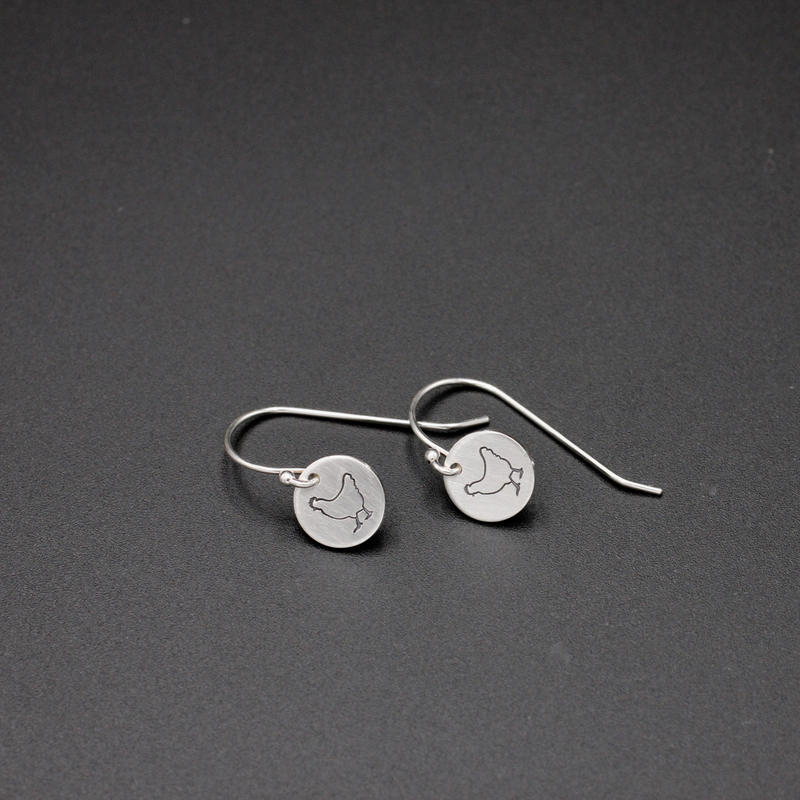 These tiny sterling silver chicken earring were created by stamping tiny chickens onto 9mm sterling silver discs. 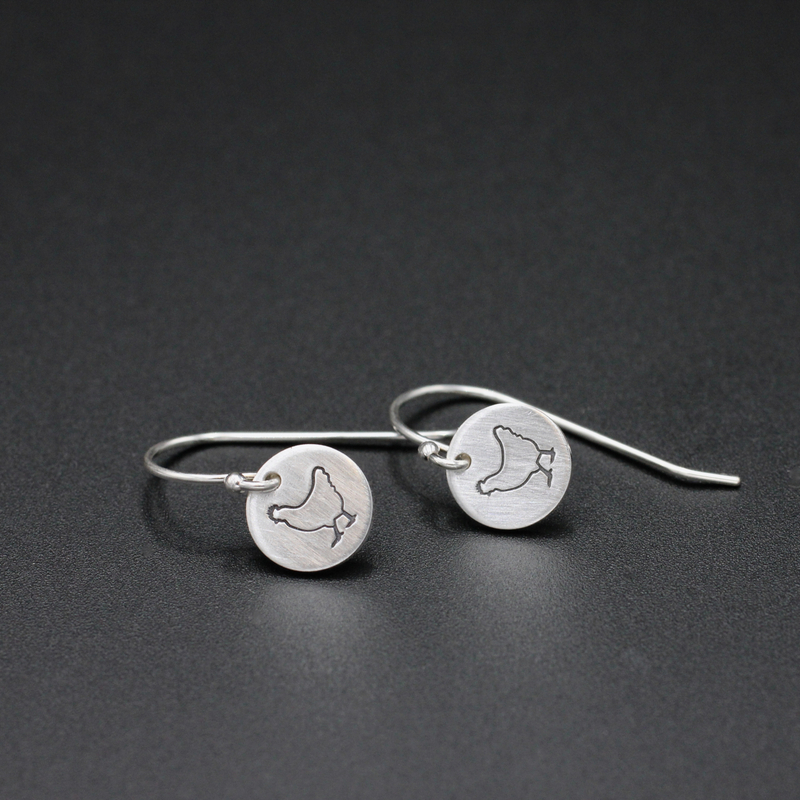 The discs hang from sterling silver ear wires. 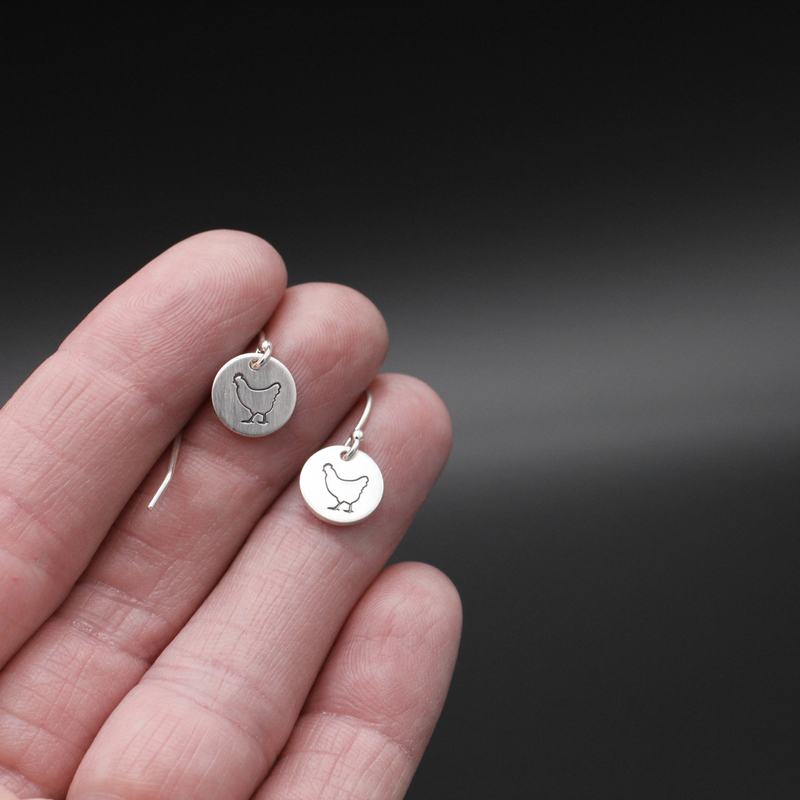 The earrings hang approximately 3/4 inch (1.5 cm) from the tops of the ear wires. Please check your sizing and realize that these earrings are very tiny!